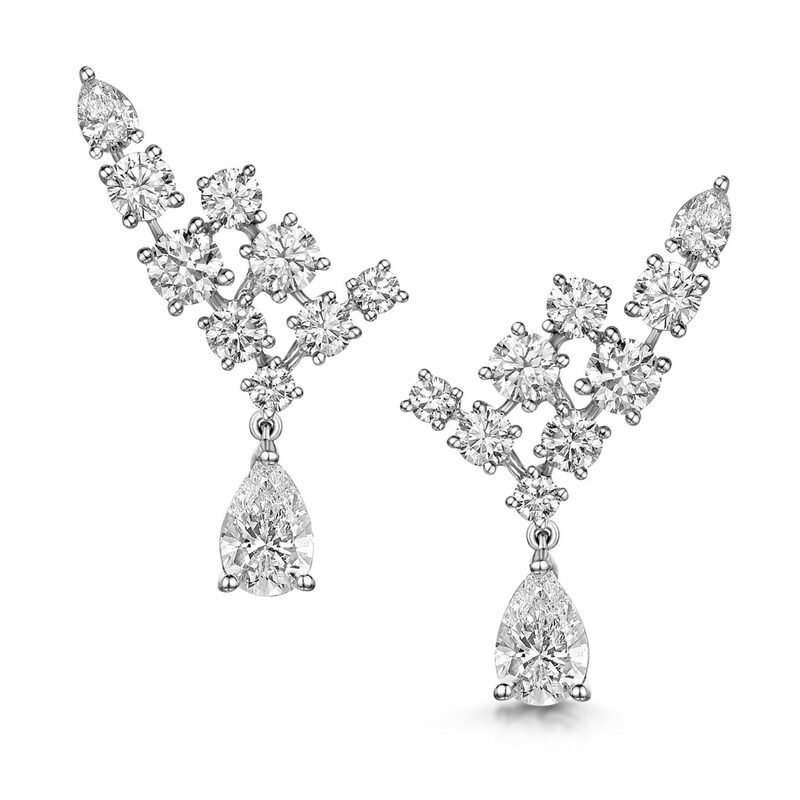 From Our Masterpiece Collection, The Vaila Diamond Earrings Are The Jewel In The Crown. Set With Sixteen Round Brilliant Cut Diamonds & Four Pear Shaped Diamonds. Crafted In 18ct White Gold.